Fighting Winter Blues with EnergyUp. Hello October and the end of BST, although since August these nights have been drawing in past 8pm anyway, so come Winter, we’re getting up in the dark, leaving work in the dark and of course going to bed in the dark. I don’t know about you but as someone who suffers with mental illness, different seasons can affect my mood doubly more than normal so I started early to help combat these mood changes. October is bringing a few changes for me personally and although I’m ready for the challenge, it’s a huge one for me. Therefore, I want to go into it with a positive mindset from every angle and yes that can start from getting a good night rest and waking up as peaceful as possible but what else besides the regurgitated tips could I do to aide this process? A light therapy energy lamp!! I’ve heard about the lights for those with SAD but didn’t really think much about them because if I’m in a depressive mood Summer doesn’t help much but Winter, I’m a lot more withdrawn, hard to get up and motivated. 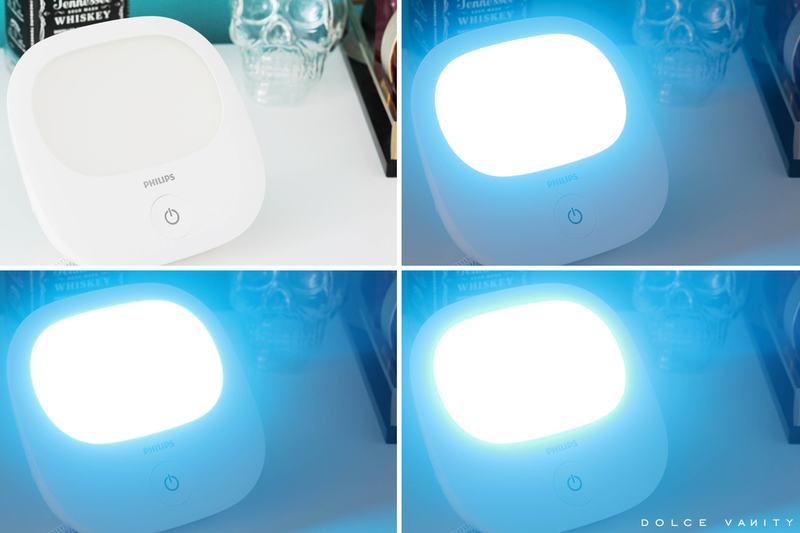 With the help of Philips, I trialled their EnergyUP Energy Light for 2 weeks as they said “With daily use, you are likely to feel EnergyUp's energising effect within 1-2 weeks.” Can’t hurt to try. With a few things occurring in September, it’ll be a great time to see how this helps me in the morning and feel during the day. Being that our lifestyles these days demand more which means we need to give more energy and alertness it can be a hard feat if we're also fighting energy dips. These can happen in the middle of the night (somewhere between 2:00am and 4:00am) and just after lunchtime (around 1:00pm to 3:00pm) when people tend to crave a post-lunch nap. What is an light therapy energy lamp? 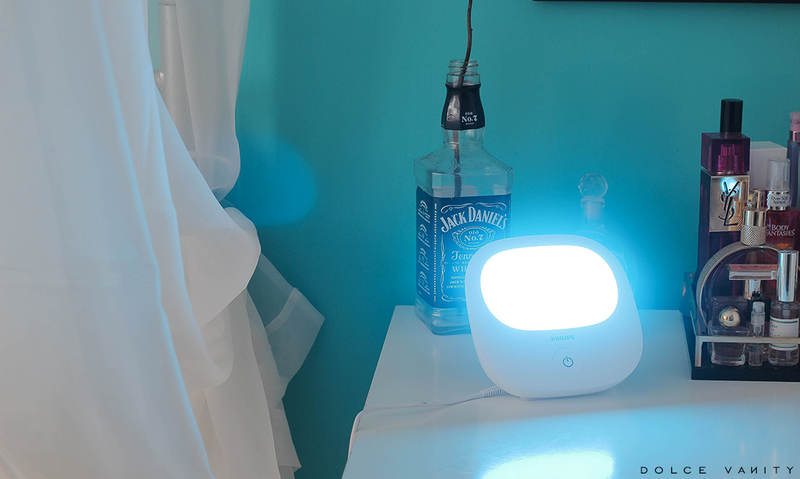 Philips EnergyUp Intense Blue is intended to make people feel more energetic, to adjust circadian rhythms and to provide relief from the winter blues. Medical uses of the EnergyUp is to treat winter depression or SAD. With daylight being essential to keeping fit, well-being and feeling energised throughout the day, EnergyUp mimics the natural energising power of daylight on a bright sunny day. It stimulates special receptors in the eye to trigger the body's natural response to sunlight. Helping fight energy dips, so we feel more energetic, alert and active & improving our mood. Feel more energised with light, naturally. How to use a light therapy energy lamp? I think knowing when to use this is the most important part of getting it to work for your needs. It can be used for up to 30 minutes but it can be used for longer if used at the correct time of day. 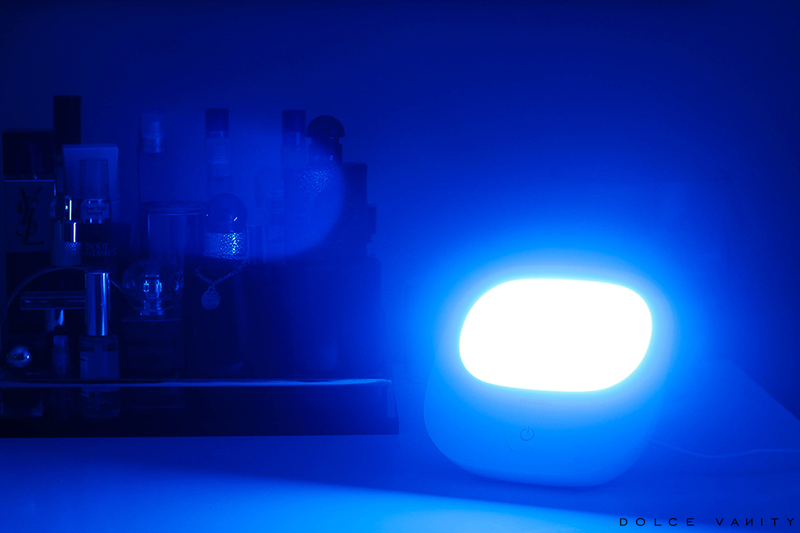 If you spend a lot of time indoors with little daylight and artificial light, then you may feel the energising effects of the EnergyUp very quickly after it being switched on, it can be used throughout the day to compensate for the natural light source but not during the evening or night. This is how I've been using it, when I get up the sun hasn't risen yet therefore it's still quite dark, I will switch this on as soon as I get up & for the first 10 minutes allow the light to give me a boost & encouragement to rise. There is 3 brightness settings, the 3rd being the most intense. Depending on when my energy is needed due to the dips, that is how many pulses (brightness settings) I set it too. Now my problem isn't that I can't get up, it's just I find it hard to get up, my energy after a full nights sleep is still low, making me feel more fatigued. This is why I use the third pulse light. The day this arrived, I felt extremely lethargic, the weather was pretty dull, on / off raining and from after 2pm, I just couldn't keep my eyes open. I kept nodding off for 5 - 10 minute intervals whilst watching "It." but I had, a pretty full night sleep of 7-8 hours so I should of felt pretty rested but I wasn't. Now because my body clock wakes up before the sunrise naturally, I'm still tiresome and feel extremely tired no matter how much sleep I get, my body feels as though I should still sleep. Preparing myself for the next morning, I set my light up next to my bed & went to bed pretty early and when I awoke coming up 6am, put the light on and clicked it a couple times to get the 3rd pulse. Each morning for the first week, I did this for 30 minutes, sometimes longer & I made sure as soon as there was natural daylight to allow that into my space and face it directly. As the days went by, I noticed the lethargic feeling during the day began to ween. I was quite shocked at how much this can help in the morning. I'm sleeping early but of course waking up in the dark isn't easy but I find popping this on first thing, really helps me give me a boost in the morning while getting ready and while leaving the house, I'm not tired and I'm ready to go all day. As I'm on my feet all day and pretty active, it's also easy after lunch to feel slumped and tired but I don't find that happens, my energy is still pretty high to keep me going onward. I was doing a clients make-up one morning and she commented on how energised & talkative I was for being early morning. I told her about this light and I told her I recommended it especially if you can get pretty low in the darker morning months and can't find the motivation to get going. Even to have people who don't know me see the energy, alertness and how wide awake but also relaxed that I am, is a huge bonus. I've been using this for about a month now and see how much this helps. When it's my lunch and tea break, I make sure that I go outside especially if it's bright to get the Sun beating down on me whether it's warm or cold, I need to get away from fluorescent lights and soak up the natural light on offer. Of course on glum days it's not possible but at least getting some fresh air can help. Have you ever used an energy light? Would it be of interest? Samples. // Outward links are affiliated.